Research, Develop and Write Proposals that will obtain funding for program services. Provide Assistance to Program Directors as needed in preparation of project proposals. Monitor and coordinate progress of projects and contract requirements from initial stages to completion to assure contract compliance on a timely basis. 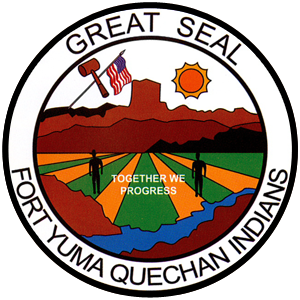 Report, orally and written, to the Tribal Council, and/or other officials as needed, regarding the status of various projects relating to financial status and contractual requirements. Provide recommendations for optimum utilization of available funding sources. Coordinate with Finance regarding all contract and grant budgets and financial reports. Travel to funding agencies regarding programs. The Grants Writer obtains grant award notifications, notifies the responsible Program Director and the Grants Coordinator of the award, processes formal acceptance of a grant award. Coordinates grant funded programs for all tribal entities whether state or federally funded. Confers with personnel affected by proposed program to assist in developing program goals and objectives, outline how funds are to be used, and explain procedures for reporting. Works with fiscal officer in preparing narrative justification for budgetary expenditures. Submits proposal to officials for approval. Submits re-application to funding agency or foundation. Meets with representatives of funding sources to work out final details of proposal/application/budget. Assists with the resolution of pre and post-award administrative problems related to sponsored projects; and coordinate administration of unusually complex projects. Coordinates evaluation and monitoring of grant-funded programs, or writes specifications for evaluation and monitoring of program by outside agency. Program Directors are responsible for grant management once an award is formally accepted. Manages the grant by implementing the grant or contract obligations – tasks includes hiring staff, if applicable to the grant’s scope; procuring services; procuring equipment, all aspects of project/program management of projects/program, writing and submitting reports, seeking technical assistance from the Grants and Contracts Office staff and/or the funding agency. Develops program goals and objectives, outlines how funds are to be used, and carries out procedures for reporting. Develops resolutions of pre and post-award administrative problems related to sponsored projects. Reports to their Supervisor, and the Tribal Council, on the progress of the project. 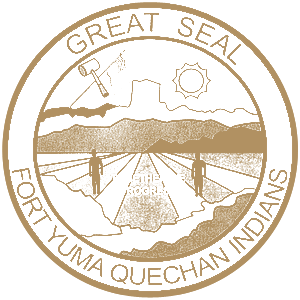 Seeks authorization from the Tribal Council for tasks needing authorization (Signatory authority: The President, or Vice-President, is the “authorized official to execute all applicable documents” as they pertain to grants and contracts; therefore, the Tribal Council should be consulted and briefed on the grant project progress and task.). Responds to Grant and Contracts Office staff inquiries for data and project/program information. Travels and attends to mandatory project/program workshops, training and meetings for program, as needed or directed by the grant FOA (Funding Opportunity Announcement).